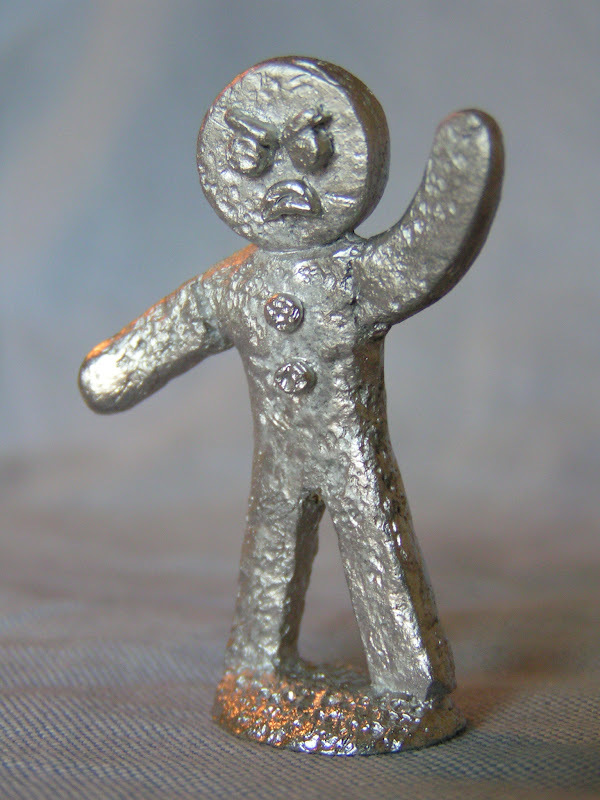 Back in December 2011 Craig Andrews - he of Orcs in the Webbe, ran yet another Advent Calendar. 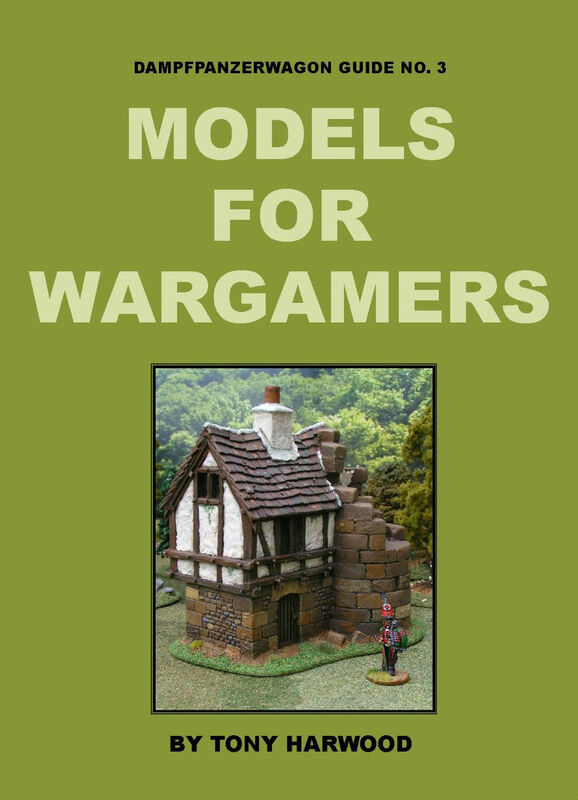 A series of daily posts which featured gaming articles, scenarios and various great stuff relating to Flintloque and other Alternative Armies gaming systems. The Dwarves produced a giant Gingerbread Man to help with their resistance (I believe that there is a similar Jewish Folk Tale/Legend where Jews who were being persecuted built a huge stone or clay Golem to defend themselves). The story was one of the very best pieces of Flintloque gaming fiction that I had ever read and I immediately wanted to produce both the Dwarves and a piece of themed terrain. 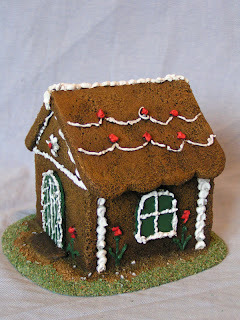 Photo One - Shows the 'scratch-built' Gingerbread House which was recently featured on Gavin Syme's new Blog Full details of design. 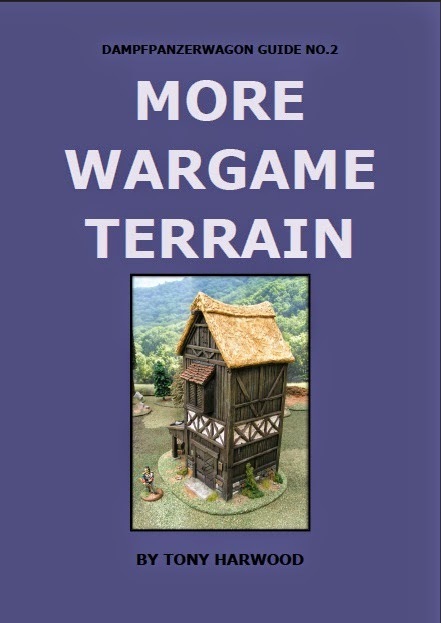 construction and painting will be included on Barking Irons Online as a terrain Masterclass article very soon. The original Gingerbread House is planned to be featured on the Alternative Armies participation game at Salute next month. Photos Two and Three - I was so struck with the story that I decided to model both a giant Gingerbread Man and some Patisserie Dwarves. 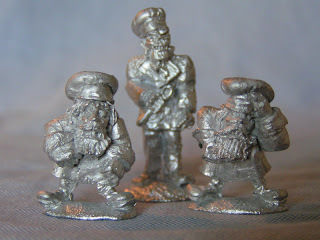 The Dwarves and the sinister looking head chef were modified Flintloque castings. I think the leading chef looks a little like a certain foul mouthed Gordon Ramsay! Photo Four - Gavin at Alternative Armies got to here about my Gingerbread project and almost straight away they were cast up as a Very Limited Edition set. 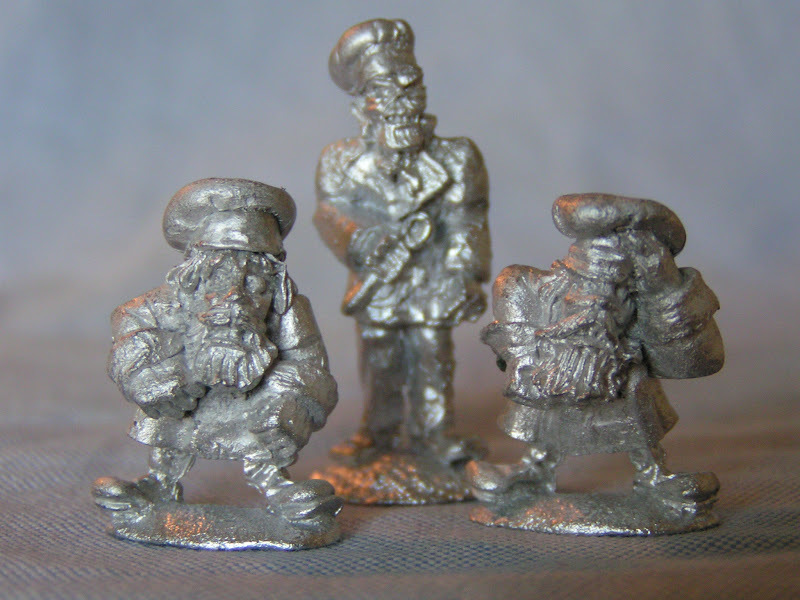 Here is an image of the first test casting, showing the Gingerbread man, the Head Chef and the two terrified Dwarves. 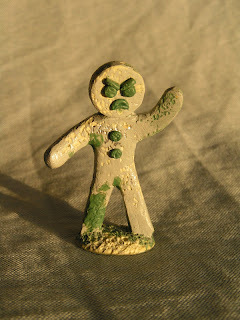 Photo Five - The Gingerbread Man, standing nearly 50mm tall and ready to strike fear into the dastardly Ferach. Photo Six - The Cooks or Patisserie Chefs. 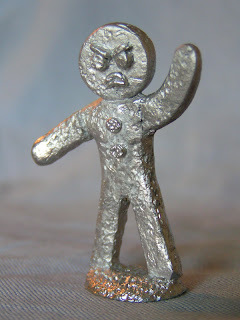 You will notice that the Gordon Ramsay style figure is armed with a rather threatening wooden spoon! Finally, in an attempt to get these miniatures based, painted and varnished as soon as possible I have decided that THESE will be my next Pledge I know that it is breaking the set rules for my Pledge, as there are only four miniatures, but I feel I can be excused on this occasion. Before starting this series of posts I had to get special dispensation from Gavin at AA to show these images - thank you Gavin. 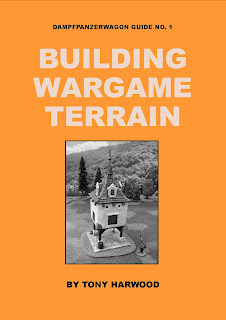 Wargaming with a sense of humour - an absolute must in my book! Original and imaginitive. 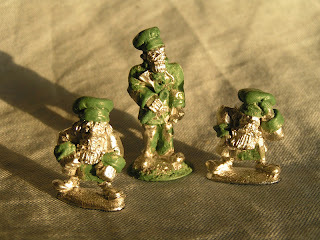 Love the Dwarves. Can't wait to get my own set, loads of character with plenty of uses. Thanks for all the comments. The basing and painting is a little slow, but with only four figures I do not see there being an issue with finishing them before the end of March.